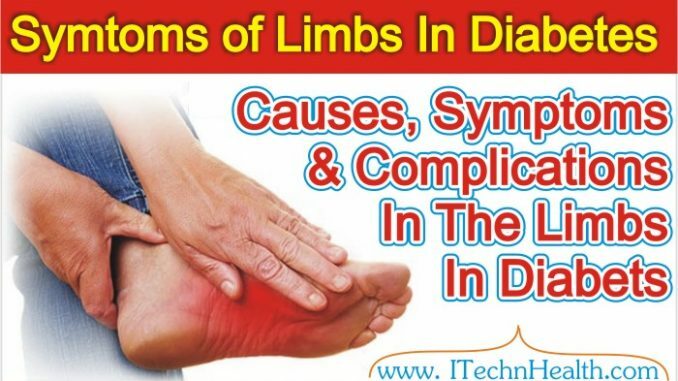 Diabetic neuropathy is called nerve damage due to elevated blood glucose levels. This complication of the disease contributes to the fact that the patient loses the ability to feel the touch of the feet, pressure, pain, heat and cold. Even if he injures his leg, he cannot feel it. Many sick people with diabetes in this case there are scores on the soles of the feet and legs. Heal the sores usually difficult and long. With a weakened sensitivity wound and ulcer pain does not cause the feet. Even a broken foot bone or dislocation can be virtually painless. This is called diabetic foot syndrome. Since patients do not feel pain, then most of them are too lazy to carry out medical advice. As a result, harmful bacteria multiply wounds that may contribute to gangrene and amputation. With reduced blood vessel patency leg tissue begin to experience “hunger” and send pain signals. Pain can occur only when walking or at rest. In a certain sense, it is good if the feet hurt in diabetes. For human diabetic patient is a good incentive to seek professional medical help and to strictly adhere to the prescribed course of treatment. Problems with feeding leg blood vessels known as peripheral arterial disease. The value of the peripheral – far from the center. When narrowing in the blood vessels in diabetes often begins intermittent claudication. This means that, due to severe pain in the legs, or the patient has to stop to go slowly. In the case where the peripheral arterial disease accompanied by diabetic neuropathy pain may be completely absent or relatively weak. A doctor with experience is able to touch the pulse of the patient to check in the supply leg tissues arteries. This method is the most affordable and easy to detect violations of the peripheral circulation. But at the same time on an artery pulsation is greatly reduced or terminated only when its lumen is narrowed by 90 percent or more. And it’s too late to prevent “starvation” tissues. Therefore, with the help of modern medical equipment is used more sensitive diagnostic methods. surgery to restore blood flow in the arteries of the lower extremities can be assigned to improve the quality of life of.